Our mandate was to create a product to showcase the quality of the recipes all while respecting the impeccable brand image that Angela Liddon has built throughout the years. It wasn’t a question of just presenting the recipes, but rather feeding the user’s passion for cooking. 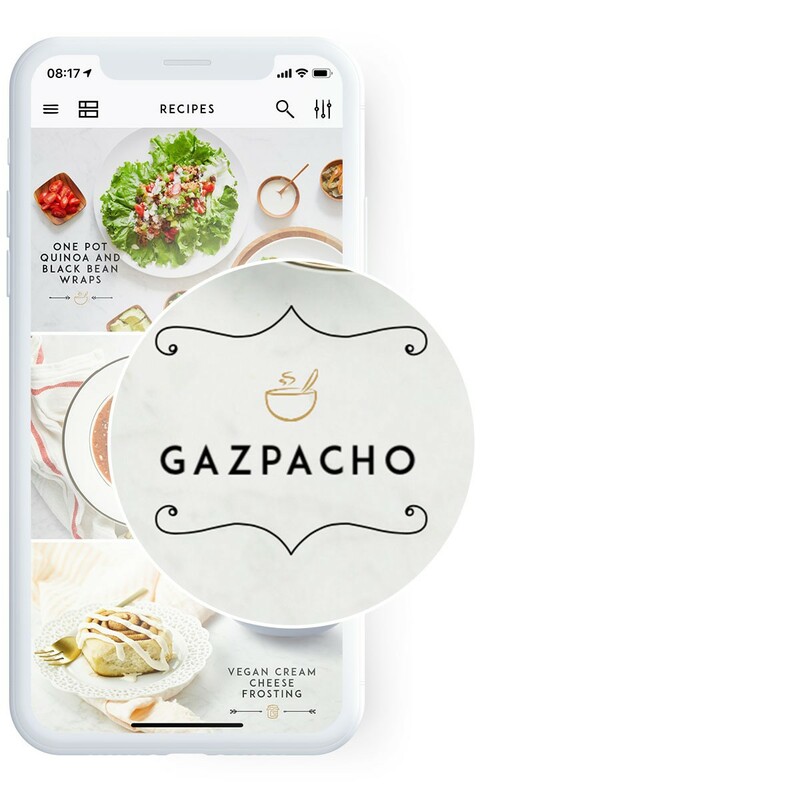 We needed to offer a delectable mobile experience to the vegan community. The initial vision for the project was huge, with a large number of features. We chose to distill these ideas and retain only the elements that would give the brand its unique flavour. From there, we were able to transform it into the tool we know today. A cornucopia of animations, countless recipe photos and meticulous attention to detail are the ingredients used to whet users’ appetites, even those who aren’t vegan. 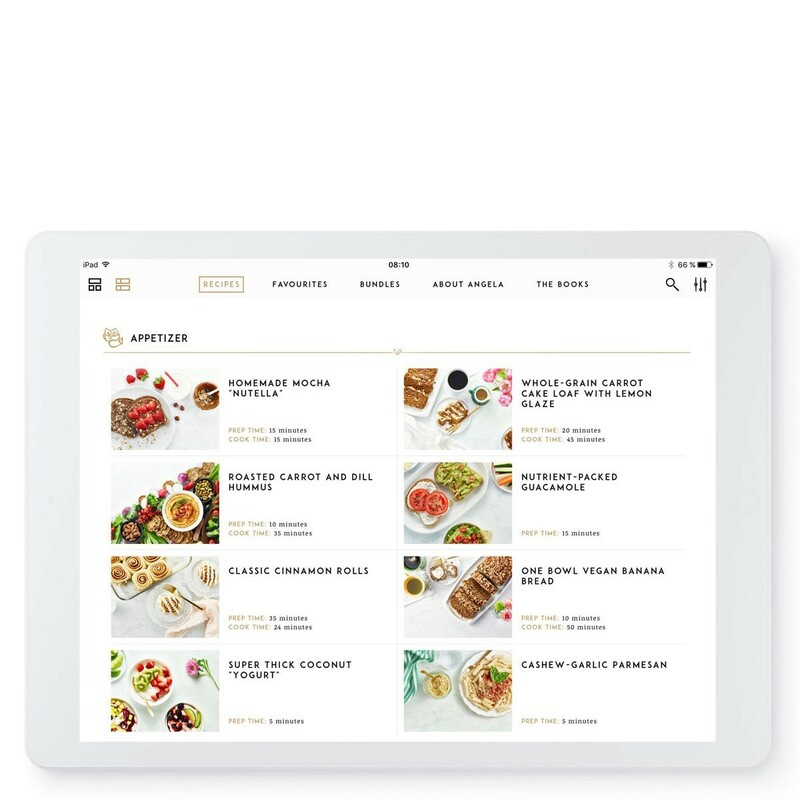 In order to simplify integrating the recipes into the app, we created a tool that allows the Glo Bakery team to manually manage the visual elements of each recipe. Because Angela’s repertoire includes almost 200 recipes, we had to allow the system to download them to the cache asynchronously in order to avoid problems that would impact the users’ experience. Being well indexed despite the flood of cooking blogs and websites already available was not a piece of cake! We addressed SEO by using Google App Indexing, which gave us an indexing advantage while directing part of the traffic towards a download or directly to the app via a Deeplink. True mastery of the technological architecture has enabled us to create an extremely stable app. After two years in operation, 99% of the app’s users have no bugs and the app has never needed a critical update.